Make your business cards design unforgettable! Get your business’s custom business card design at SPEMedia, the number 1 custom business card design service with highly trained and professional graphic designers. 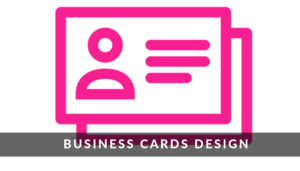 Our experts in designing are always ready to create the perfect business cards for you. Most businesses in Zimbabwe have used us to get just the right business cards for their businesses. The good news is, you can join them too and get a business card that you will love. It’s no secret that bland business cards are shoved and thrown away later. In order to make the best first impression on your prospective customers, your business card must be very unique so that they feel compelled to keep it. We have a talented team that will help you create a professional business card that stands out from the crowd and reflects both your personal and corporate identity. We will also retouch as well as stylise you current design for an inspiring new look. Our business card design process will take anywhere between 2 and 7 working days to complete. Furthermore, rush production is free, although it depends on the current workload. Our business card design service starts at a low price with options to meet any budget. On average, business card projects will start to receive designs within a few hours. As we have already mentioned above, we have a team of experienced and highly skilled graphic designers working on your project. That means you will receive heaps of business cards ideas for you to choose from. That way, we come up with the best business card design for your business in Zimbabwe. Ever thought of increasing our business image with the use of explainer videos or professional photography? Talk to us about this option. As you might already know by now, we have professional business card designers who are ready to create the best business card for your business. Can you help me with getting my business cards designed in Zimbabwe? Yes, we can host your website today! Why not give us a call on +263 776 260 360 or email us to discuss your company’s business cards design needs whether you are in Harare or anywhere in Zimbabwe. Get a free no obligation estimate or contact us to discuss your exact requirements. We appreciate that your business is unique in its own right. Therefore, we will design personalised business cards for you. Kindly fill the form below and we will reply you urgently with a custom price quote. We are open from Monday to Friday 8 am to 5 pm.